Hi girls, sunscreens are extremely important. I have been trying this sunscreen for the past couple of weeks. Interestingly, this is different from the ones that I have tried so far. 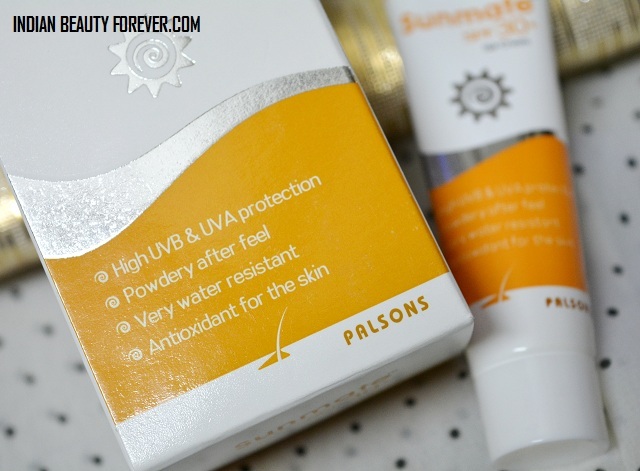 I am talking about this Palsons Sunmate Gel cream Suncreen SPF 30. I am trying a couple of their products currently and this is the first product that I am reviewing since this is different and hopefully, a lot of you with oily skin will get another good option for sunscreen for your oily skin. 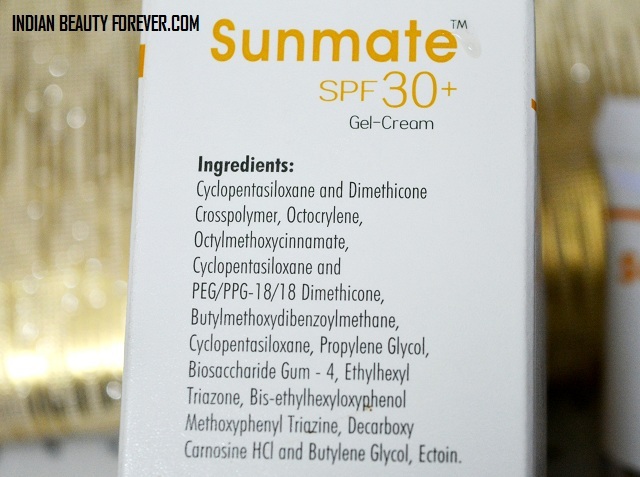 Price of Palsons Sunmate gel cream Suncreen SPF 30: A 50 g tube of this sunscreen is for 490 rupees. This is available online on flipkart though I have not yet seen this brand in medical stores near my place. 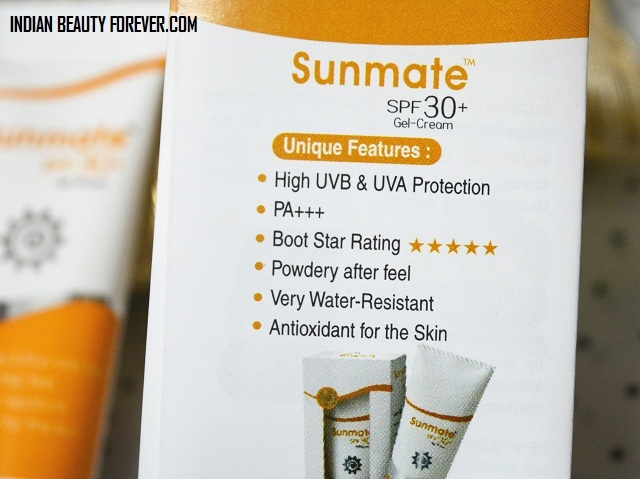 This sunmate sunscreen has a mild medicinal scent to it. This is not too much but a very subtle fragrance. It is a cream colored thick cream. When I apply this, it feels creamy but within a couple of seconds it feels like a satiny powder. Seriously, it feels like as if I am applying satiny powder cream. Like we have seen with some face primers. 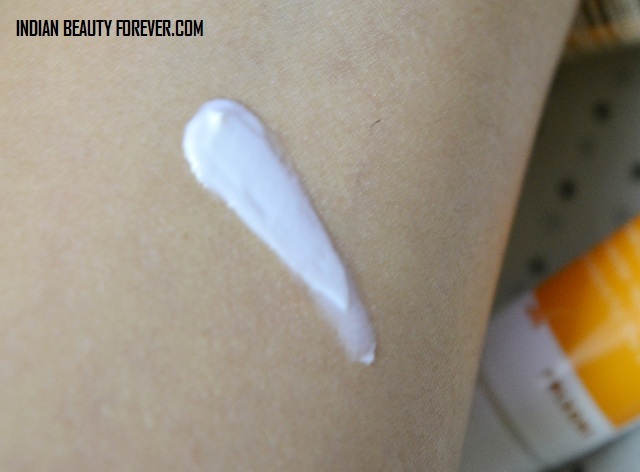 This is the first sunscreen honestly that I have come across where the formula is powdery. I have noticed that even when the weather is hot this will not make me sweat which is a great feature.Thanks to the formula and texture. In fact I have used this as a face primer as well and this makes the foundation glide smoothly. me. It has SPF 30 which gives protection from majority of UVA/UVB rays. It says that it has a water resistant formula but I can’t test that so, I believe it is. If it is that will be another plus point of this product. It can also act as face primer before applying the foundation. I tried it that way and this worked well. Price can be slightly high for some of us. It may not be the best sunscreen for the dry skin since their priority would be moisturisation. 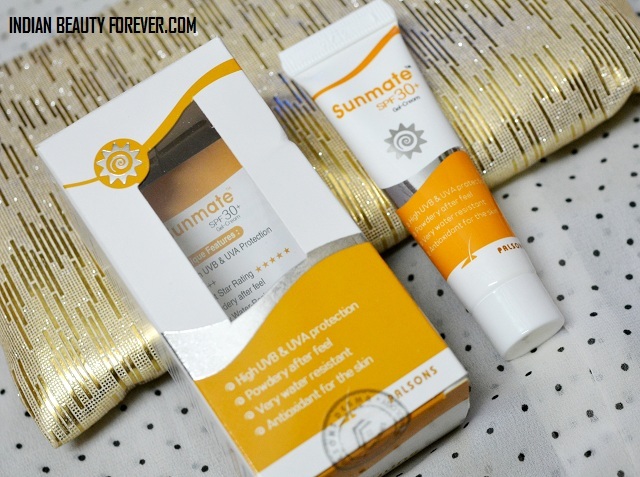 Take : Sunmate sunscreen with SPF 30 by Palsons is a great sunscreen for oily skin since when we have oily combination skin we want a sunscreen that won’t make the face greasy or make us sweat in hot season.This can be a good option for sunscreen for oily acne prone skin. The texture of this sounds really wonderful!